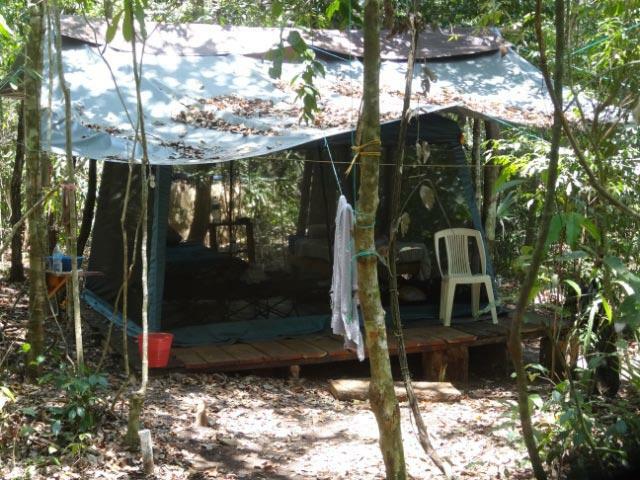 An excellent camp with great dining and tents screened on all 4-sides. 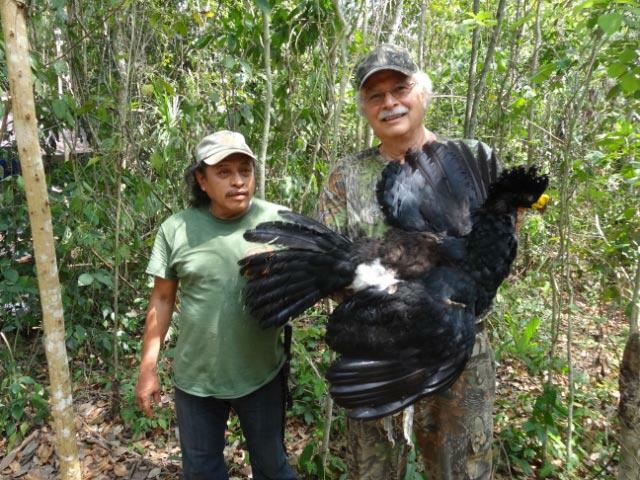 The male Great Curassow is a beautiful bird as male's are supposed to be!. 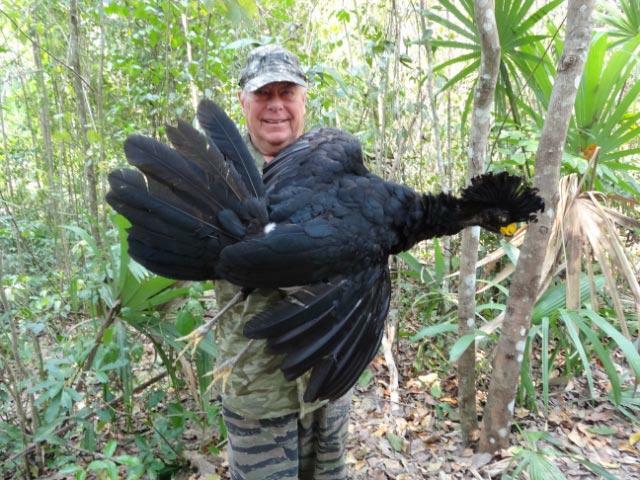 The female Great Curassow is also a beautiful bird. 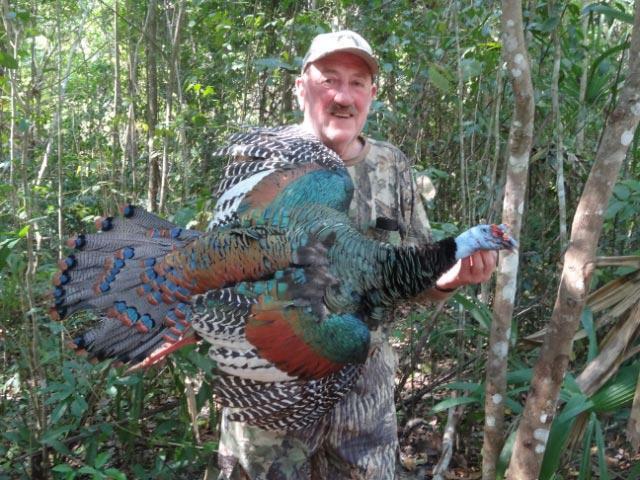 On the left is Ken Wilson's typical female; and on the right is Mike Ward's very rare color phase. 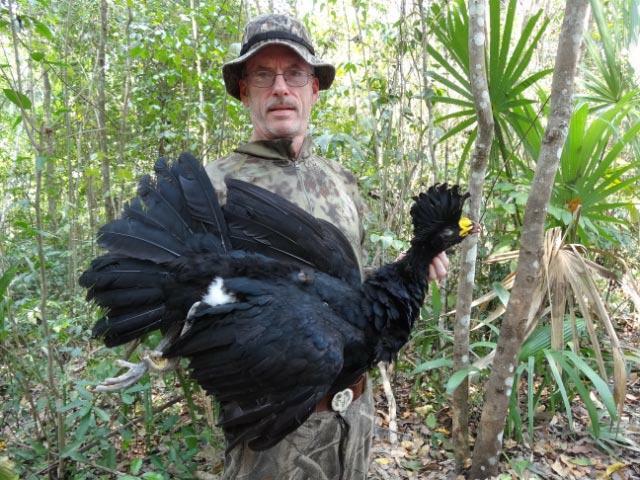 Both the male and female Crested Guan have the same coloration. 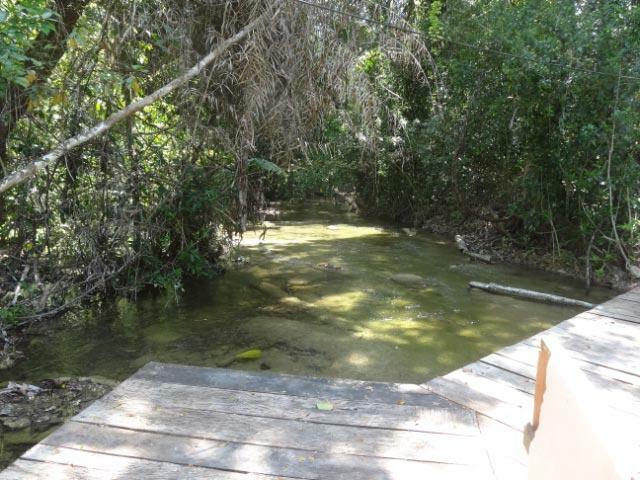 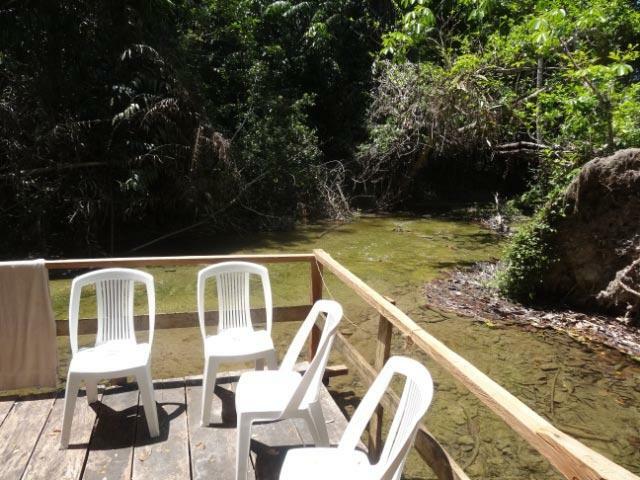 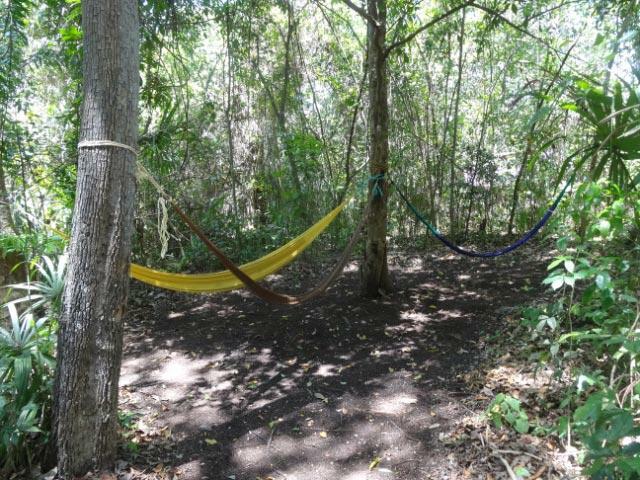 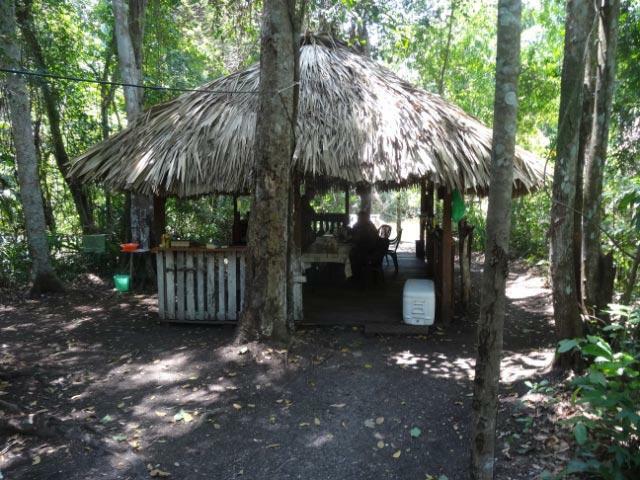 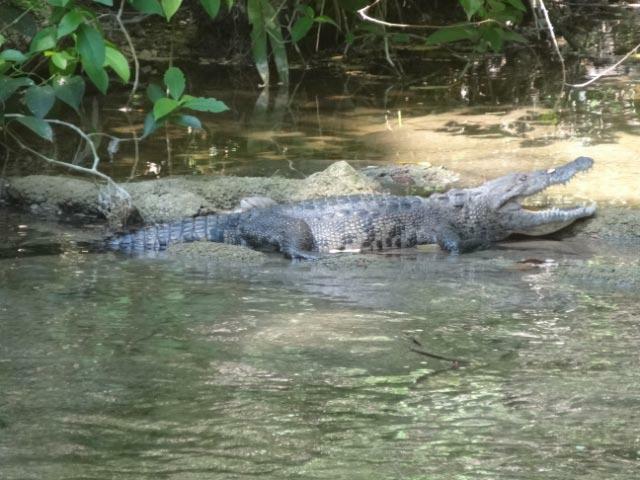 The stream by camp is the place to cool off mid-day and, to add excitement, there may be a Mexican Crocodile nearby. 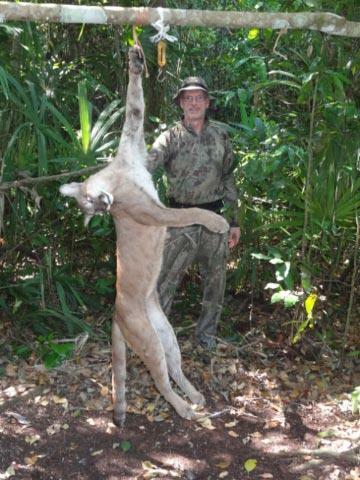 They seem to be friendly to hunters! 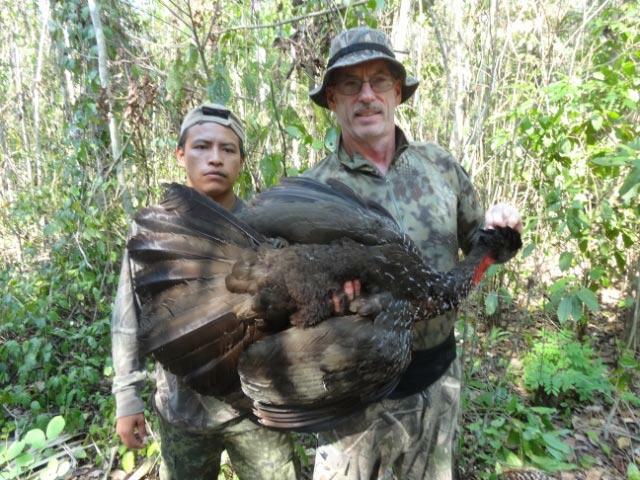 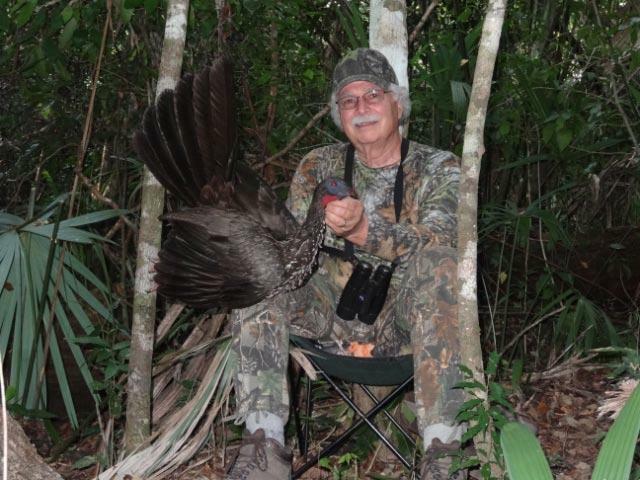 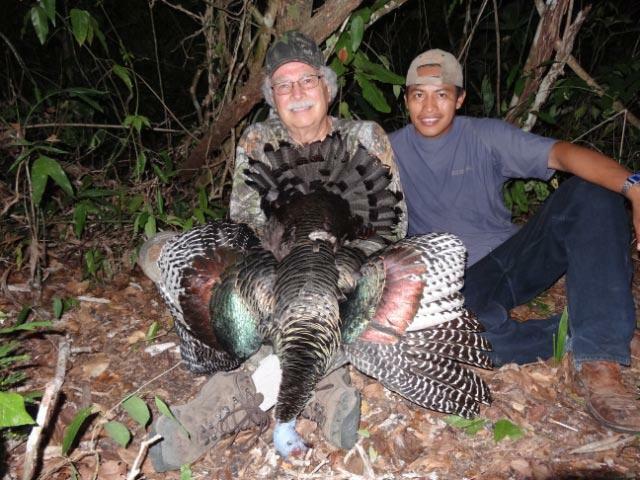 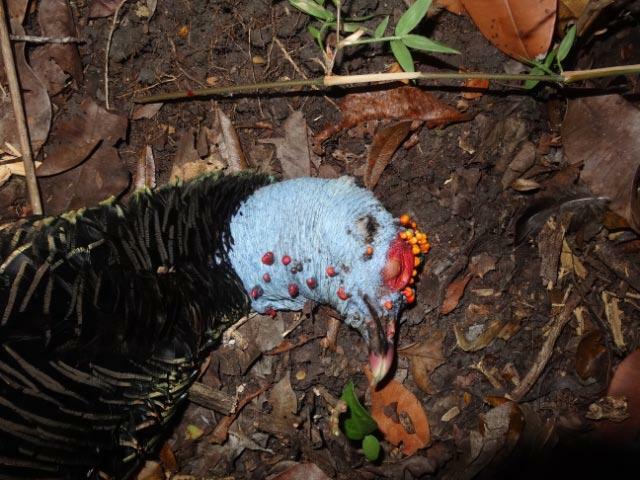 The outfitter confirmed that Mike Ward had one of the best days of jungle hunting ever when, in one morning, he shot a Crested Guan, two color phases of Great Curassow, and a Puma as it approached a water hole. 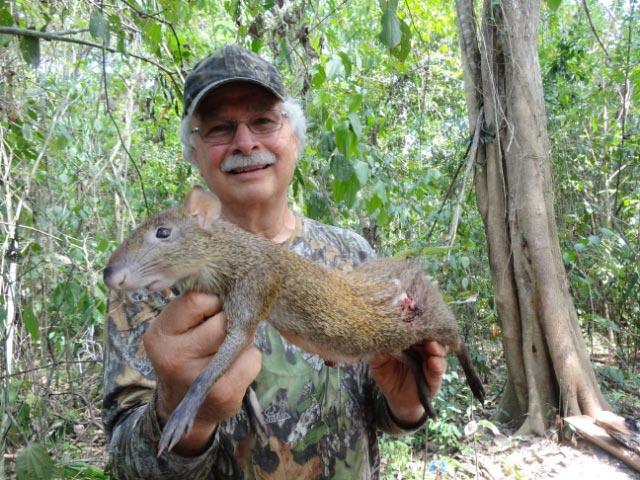 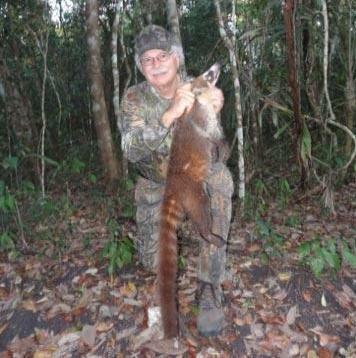 There is a lot more to hunt such as Coatimundi and Agouti (shown here) plus Brocket Deer and Spotted Paca. 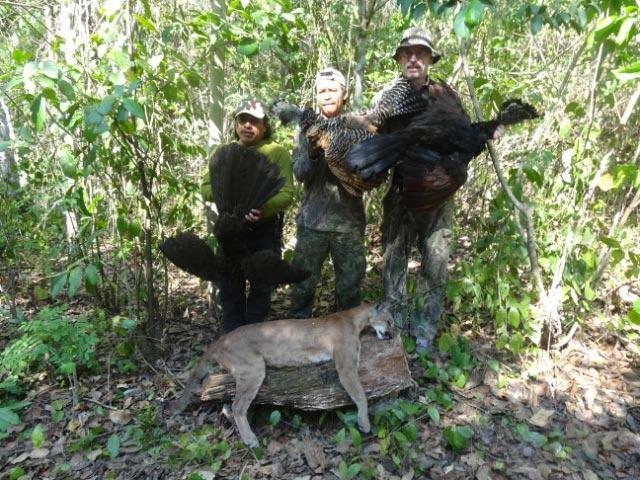 Check out our website for trophy fees and the full information on pricing. 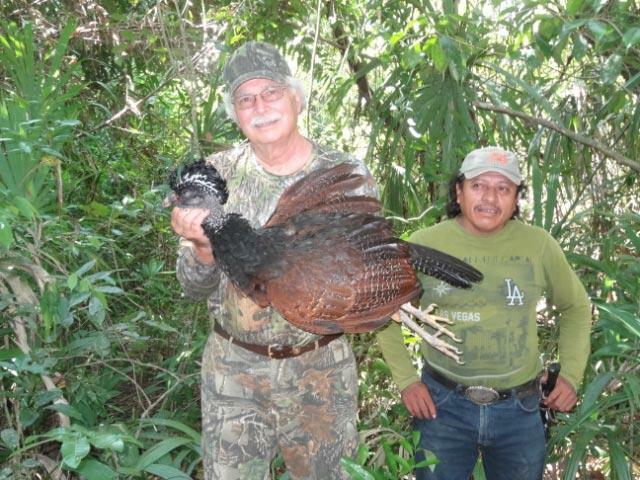 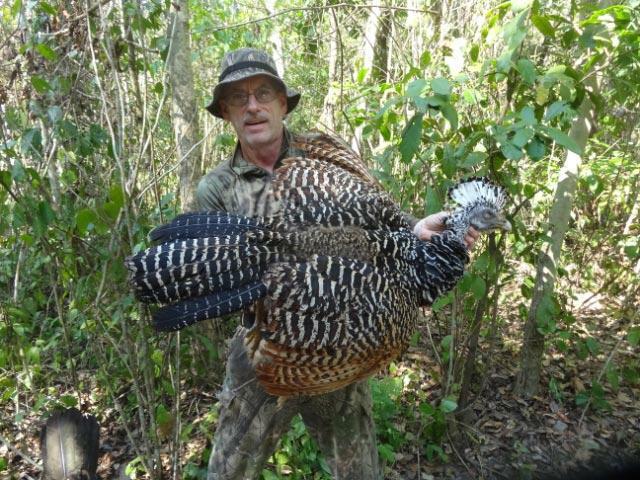 The base price of $2,500 + $350 for a single license and $150 for shotgun rental includes 5 full days of hunting and the trophy fee for one Ocellated Turkey.